You will only be needed for one day for a couple of hours in January. 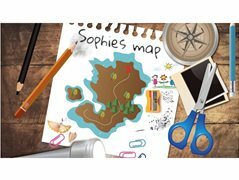 Sophie’s Map is a short film about Jamie going on his last adventure with his older sister Sophie. Jamie takes on the world with an Indiana Jones attitude, courageous and imaginative. For him, everything is a huge expedition, and every problem is an adventure. Sophie’s quiet and artistic personality sets her apart from Jamie but despite their differences their sibling bond is unbreakable. Will be asked for a short audition tape and shoot day is in Jan 2019. Male Actor Aged 30 + Wanted to Play Large Car Rental Firm Ambassador.